If you are a cat owner then you should definitely get the free cat behavior guide to better understand your cat's body language. By submitting your telephone number you consent to us getting in touch with you to request delivery details and tell you about our work and how you can support us. Thanks. Sounds like an interesting read. Not sure about the phone call a text would suit me better. Looks like a good book but as stated by another person, I don't wish to give out my phone number. 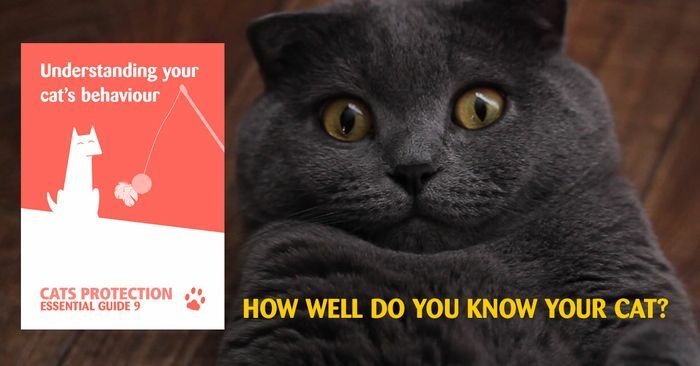 A book on understanding your cat? How big is this book, it's going to at least make war & peace look like a leaflet. I can't speak for other cat owners but cats do the strangest things. You've got more chance of understanding a teenager. I had 2 cats I never understood them! they would scratch me at every opportunity and I was the one who always fed them??? Apparently if your cat scratches you it is a sign of affection............. yeah right, not sure if I believe that one either lol.